DIY Cheap, Long Burning Firestarter Using Pinecones! 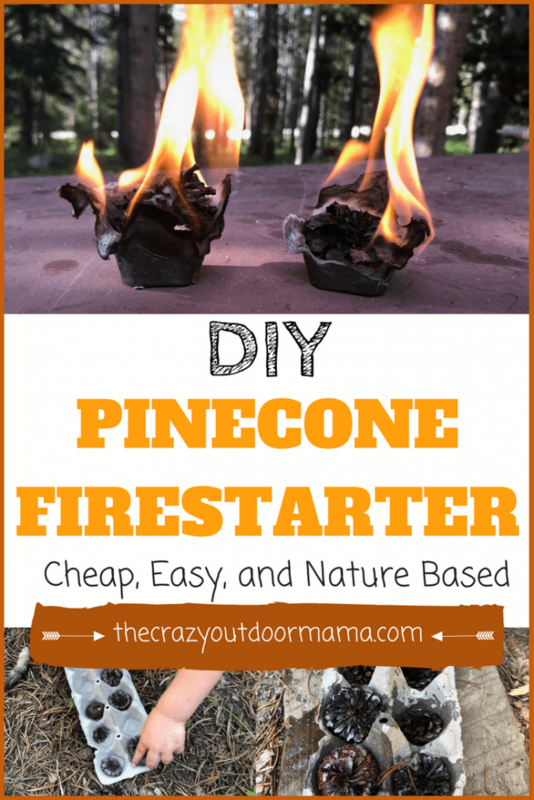 You’ll Love Creating These Homemade, Nature Based Pinecone Firestarters With the Kids! 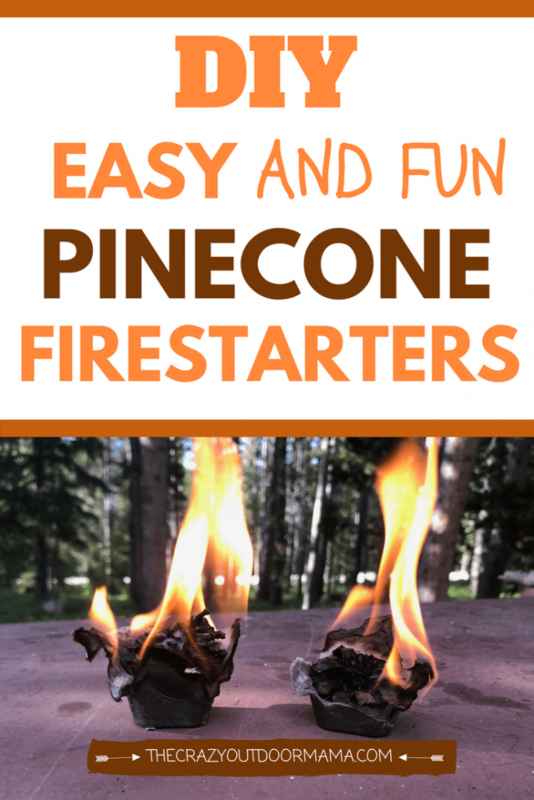 If you’re like me, and seriously struggle in the fire making department, you’ll love these nearly free pinecone firestarters! And even better – your kids can help in the process! For a long time, we have used just spare paper we have laying around to start our campfires. We are from Wyoming, and there’s always an abundance of pinecones. Big ones, little ones, half eaten ones – they’re everywhere! They also happen to be a favorite for my son to throw in the fire. And it’s super convenient because he never runs out! That got me thinking – how could we even further utilize the pinecones for our fire, considering there were so many to use? In comes our pinecone firestarters! 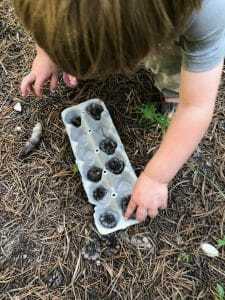 With just a little wax, an egg carton, and some pinecone gathering, you’ll create a firestarter that not only burns for over 4-5 minutes straight (it could burn more, but I had to go wrestle a toddler and couldn’t watch it longer! ), but you literally don’t even have to blow on it for it to do it’s thing! What I love about these is that it’s super easy to involved your children in making them, and they are stackable! I also love that we are upcycling those paper egg cartons that I always save, but have no idea what to do with! P.S. If you don’t have pinecones, these are some super cute firestarter “logs” using toilet paper and dryer lint! The kids might also enjoy this twist on the egg carton and lint firestarter that uses crayons here! In all, these things only cost me around 2 dollars. The candle came in a set, and I have enough wax to make 5 dozen more! If you don’t use paper egg cartons, you can usually find some if you ask around! Another tip – if you don’t want to junk up one of your pots, just buy a super cheap tin container from the store! I bought a “disposable” bin for 88 cents at Walmart that held up fine over the heat of a grill (we melted our candle while camping) I actualy am going to keep it so that I can just keep using it whenever we need to make more! Step 1: Gather your Pinecones! This will be the most fun step for your kids! 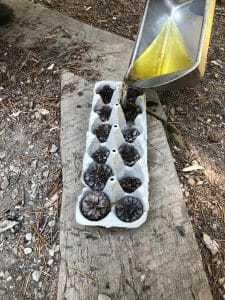 Give them the empty egg carton, and ask them to find the biggest pinecone that will fit in each spot! This is super great problem solving practice, especially if you have toddler age kids! They will experiment with different sizes in the egg carton, and need to figure out what works best, and explore around to find them! My toddler loved getting the pinecones for these fire starters! 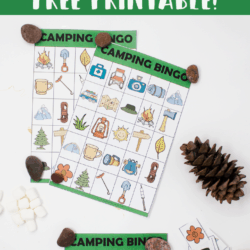 If you are camping with kids, and enjoy crafty stuff like this, you may enjoy making this Campsite Sign with items from around camp! As I mentioned above, I just used a cheap candle and disposable bin, but you could use a pot as well. Something we did while working on this at home was to put the candle in a mason jar, then the jar on a vegetable steamer so that it wouldn’t be touching the direct heat of the bottom of the pot. This is convenient too because you don’t have to clean your pan after, and you can save every drop of the wax but just waiting for the jar to cool, then store it for your next firestarter making session! Step 3: Pour the Wax over the Pinecones in the Egg Carton! This is a step that will DEFINITELY need to be performed by an adult! Using a hot pad, pour the liquidated wax over each pinecone. Don’t go any further than halfway up the pinecone, and be sure that the entire thing is coated completely! An adult will definitely need to do the wax pour! You don’t need much to get the job done! Pin for later, and don’t forget to use these homemade firestarters for your woodstove once camping season is over! These guys will work equally well for your woodstove – I know I dread having to get the fire going every morning! I didn’t have these last year though, so hopefully, these winter coming up will be a little easier! 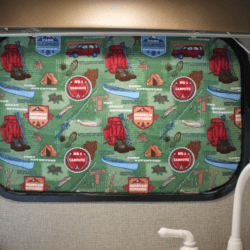 Here are some other camping activities you may enjoy! Create with nature and play doh to increase creativity, problem solving skills, and sensory exploration! 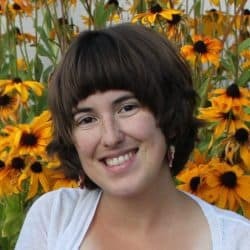 Find out the educational benefits of crafting in nature, and what I bring in my “camp craft pack” to facilitate this here!